Red fox pendant with beautiful gold accents. Foxes are clever and resilient. 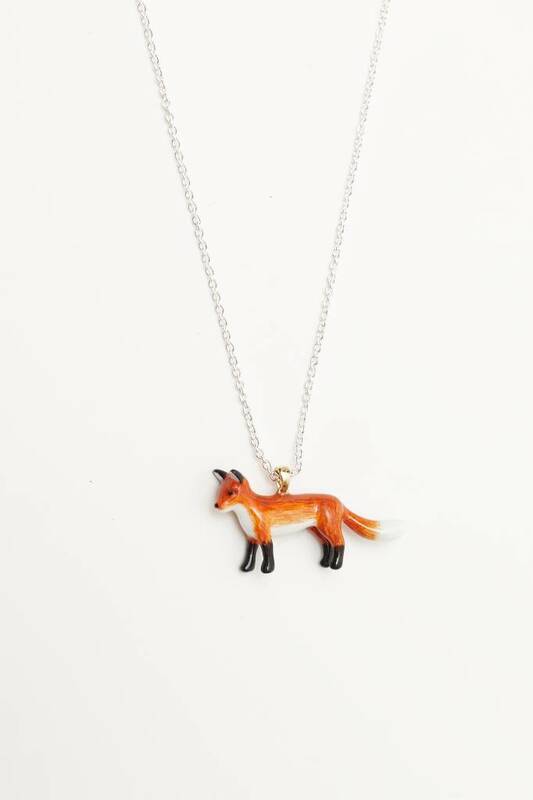 Everyone needs a sweet fox necklace to wear with their favourite outfit; it's the perfect gift or special treat for ourself. From Migration's in-house line, this beautiful little red fox is hand painted with gold colour accents and finished with enamel. Each one is hung from a 31" silver plated chain.